Congregation Beis Shloime is bringing a massive school to Borough Park. The nonprofit religious organization filed plans to build a nine-story school building on a vacant lot at 1360 36th Street, according to documents filed with the city’s Department of Buildings on Thursday. The group acquired the plot for $8.2 million in 2015, according to city property records. 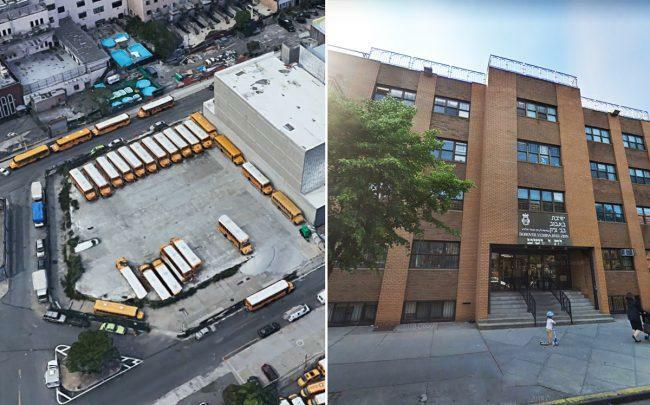 In March of this year, Beis Shloime applied for a special permit to build a school building on behalf of Bobover Yeshiva Bnei Zion, a four-year, private rabbinical college based in Borough Park. The Bobover Hasidic dynasty, with which the school is affiliated, traces its origins to the town of Bobowa in southern Poland and is now headquartered in Borough Park. Representatives of the Bobover Yeshiva declined to comment, and the Congregation did not immediately respond to requests for comment. The architect of record, Mark Mariscal, was previously involved in the building of an expansion for another rabbinical school, Williamsburg’s United Talmudical Seminary. Mendy Weinfeld, Beis Shloime’s representative on the filing, is also a project manager at Bobover Yeshiva Bnei Zion, according to LinkedIn.